The spices and sugar in this recipe pair well with dark meat chicken thighs. If an outdoor grill isn't available, bake the chicken at 350° F for 20 minutes and then finish with a few minutes under the broiler. Combine all ingredients but the chicken in a large bowl and stir well to blend. Add the chicken, stir to coat each piece and cover with plastic wrap. Place the chicken in the refrigerator to marinate for a few hours (no more than 4). About 15 minutes before you're ready to cook, let the chicken sit out to come up to room temperature. 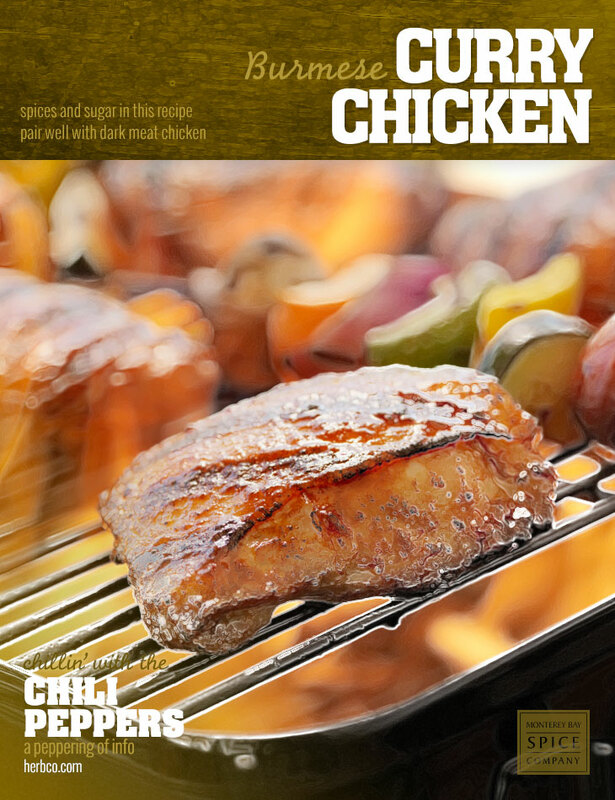 Using tongs, remove chicken pieces from the marinade and place on the grill. Cook over medium heat, turning occasionally, until juices run clear.